I like this new blue micro mini ice cube maker. The ice cube tray is made out of 100% silicone so it will never look old or get spots of rust like my Moms old fashioned metal ice cube tray. I think the old fashioned ones were made out of aluminum, definately not high quality and not made to last. 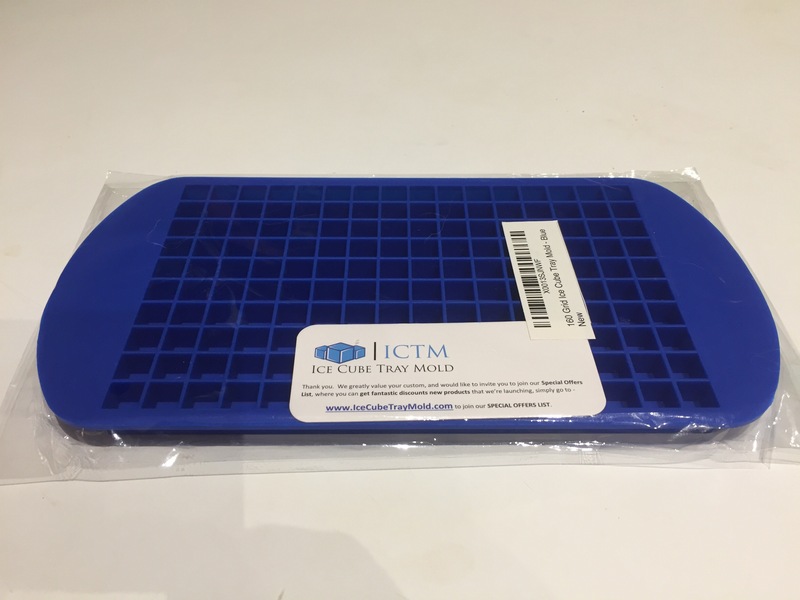 This tray is made out of silicone and is really durable and made to last for many years. 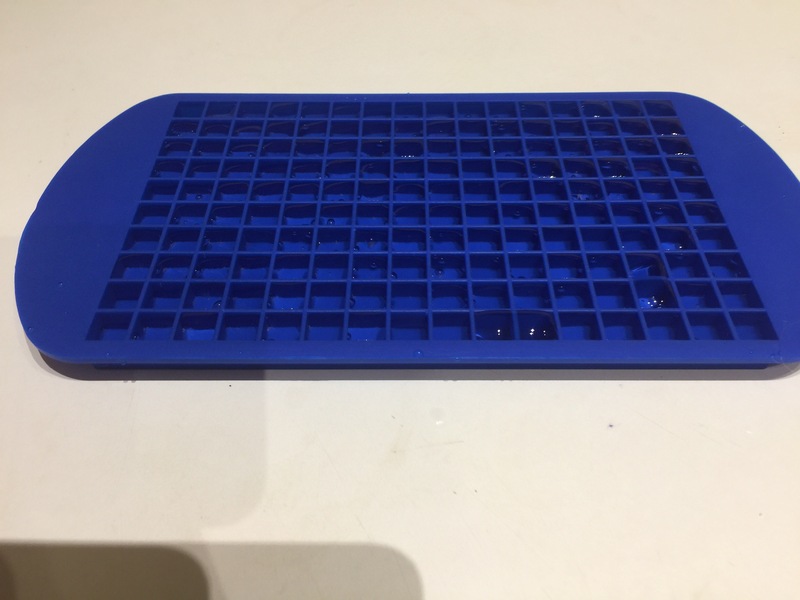 This tray makes 160 tiny ice cubes. I’ve always wondered why ice cubes were made so big. This size is more ideal for me and my grandchildren and toddlers. I think this is the perfect size to put in child’s drink. And so much better to cool down a cup of hot tea. All I need is about six little ice cubes to put into my tea cup. My tea cup is dainty, so this size ice cube is perfect. When my eight year old grandson and six year old granddaughter visits me, they also prefer the small ice cubes. I have found that the smaller ice cubes freeze solid much quicker. I’ve checked my freezer and these ice cubes take less than two hours to completely freeze. 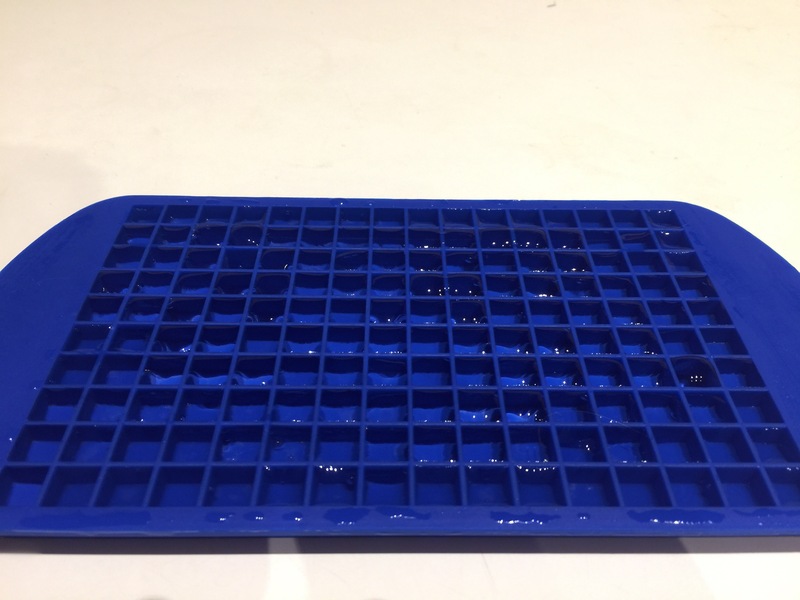 The ice cubes are easy to remove from their silicone ice cube tray. I just twist the silicone tray a little and they pop right out and into the bowl. 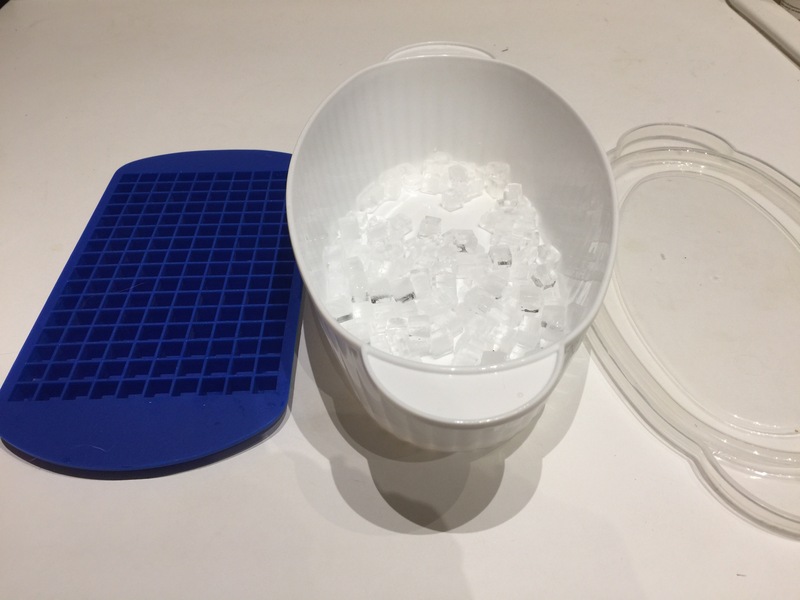 There may be a couple of rows near the edge of thectry that don’t easily pop out, so what I do with these is center that part of the try over the container and turn the ice cube tray upside down and give a little push on the underside and the little cubes will just pop right out. I like to keep a container full of these frozen tiny ice cubes in my freezer at all times. I keep them stored in a plastic container with a good fitting lid in my freezer. Also when friends come over and I serve them sweet tea or fresh lemonade they love the tiny ice cubes floating in their drink. I’ve also put the smaller ice cubes in a glass of drinking water. Works out great. 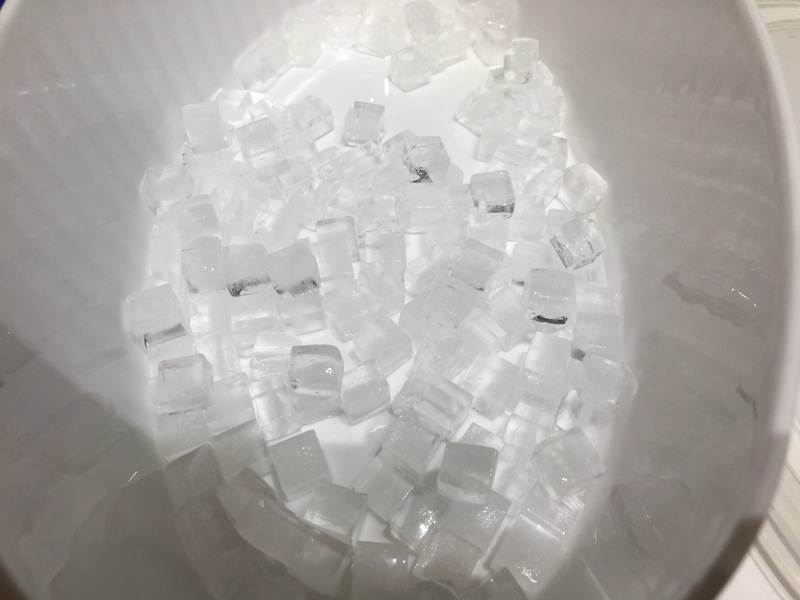 Larger ice cubes sometimes get in my mouth and I my teeth are sensitive to the cold and if I get a large ice cube in my mouth all my teeth get very painful. The small ice cubes are so much better for me. I bought my grandchildren those 17 oz. soda bottle shaped thermos drinking containers and the large ice cubes are to big to put inside these, so the tiny ice cubes fit inside the opening just fine. So another good reason to have this size ice cube tray in your home. I just wish they sold these in a two pack. Then I could have more little ice cubes ready to use at once. Just glad that they freeze so quickly. Makes it so easy to quickly freeze up a second set of these tiny ice cubes. Great product. I purchased this product at a discounted price in return for my honest and unbiased review. I can tell you that I haven’t worn leggings in at least five or six years. I haven’t liked the style of previous leggings or the fit. They just didn’t conform to my body right and made me look heavier than what I am. And felt they were way to heavy a material. This new pair of leggings made by Bentibo fit me so well and I felt great wearing them. I am usually a size 12 – 14 and ordered a size XL and the fit is fantastic. The leggings felt so soft and comfy. I just love the material and style. The leggings are lined with a thin fleece material. Just the right amount of fleece so I feel warm but not hot like other leggings. I live in Central Florida, so these will be great to wear in our mild Fall and winter weather. My daughter lives in Massachusetts where is gets bitter cold in the winter and has temps in the teens and a several nights it’s -2 degrees Fahrenheit. Not sure they would be warm enough for her. Yet I think once she tried them on she would love them and probably wear them in the Fall and winter weather too. She would probably just wear them with a long sweater. I can tell you that these fit perfectly and feel so soft and comfy that I am definitely going to purchase three or four more pairs in different colors. I have washed these wonderful leggings once and they came out of the wash fine. I washed them on the gentle cycle in cold water with a mild clothes detergent. Then I let the leggings air dry, which didn’t take long at all. These leggings are very well made and I just can’t stress enough how I feel so comfy wearing them. I feel like I’m wearing my bottom pajamas. 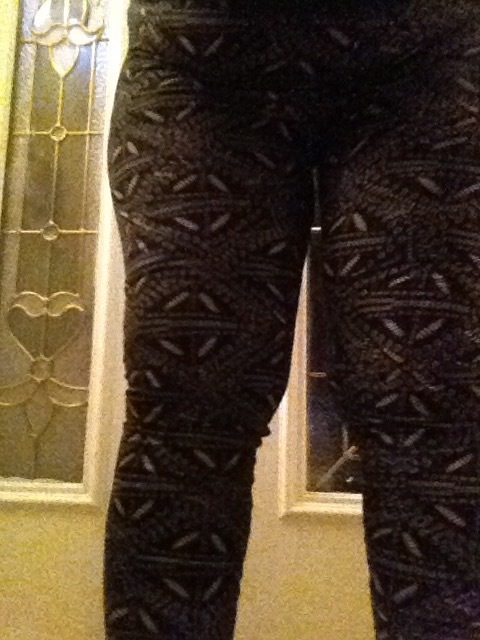 These leggings are now my favorite and only pair of leggings and are more comfortable than my favorite jeans. This hot cream is actually not really hot, unless you put too much on, then maybe. When I first opened the jar, I quickly discovered this orange colored hot cream had a bit of a strong menthol like and alcohol smell. I quickly got used to it. Any product that was going to reduce or get rid of my aches and pains was ok by me. The hot cream when applied/massaged into the area at first felt a little tingly sensation then it also had a cooling sensation. Within a couple of minutes the orange cream was completely massaged into the area and the area was dry. It then started to have a warm sensation, but yet was cool to the touch. 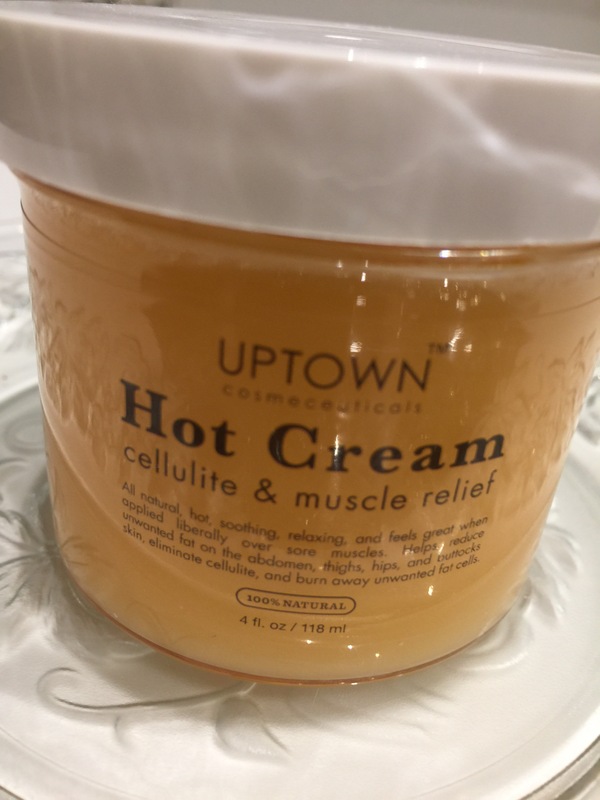 And although I have very sensitive skin, I did not have any bad reaction after applying this hot cream to my left knee and calf muscles. No redness, rash or any reaction whatsoever. I was glad about that. It says to apply the hot cream to the affected area twice daily. It reduces cellulite and also helps to relieve muscle aches and pains. After applying this product the area did have a lot less aches and pains. It said to keep the product on the area for approximately 30 minutes, which I did. After that time I could barely smell the menthol/alcohol. I have been using this product for approximately two weeks. I feel that it has only slightly improved my cellulite. I did find a big difference in my aches and pains. I feel it really helped by me massaging it into the knee and calf muscles. I will continue the treatment for at least two more months. If I notice a good improvement in the cellulite I will include that on this review. Overall this is a very good product to help reduce aches and pains. I would purchase this product again. I purchased this product at a reduced price in exchange for my honest and unbiased review. This Anti-fungal wash is really good to use as a body and foot wash. It is 100% pure and natural. It contains no chemicals, parabens, artificial color and is naturally scented. This wash contains tea tree oil, coconut oil, pomegranate oil, cranberry oil and other various ingredients. This body wash helps to prevent body odor, athletics foot, nail fungus, eczema, fungi and viruses. It has thebmild scent of tea tree oil and the other oils combined. Once you wash using this anti-fungal wash you are only left with a very mild scent of the wash. This products is made in the U.S.A. It also has the GPA seal which is the Good Manufacturing Practice for Consistant Quality. And it is not tested on animals. The body wash can be used as a face wash to treat acne. You can also use it as a foot bath to treat athlete’s foot. This product can also be used to treat eczema, fungi and viruses. And it can also prevent body odors. I like to use it after I’ve been walking around outside in my bare feet in the summertime. I used to get a couple of planters warts from walking in a public pool area. So now when I forget to wear my flip flops I will just make sure when I get home to take a bath using this wash and really scrub my feet, especially the bottoms of my feet. Hopefully, I will never get another planters wart. Also, I am not able to use an underarm deodorant since I have very sensitive skin and would end up with a terrible rash under my arms. So I wash my underarms with this liquid soap daily. 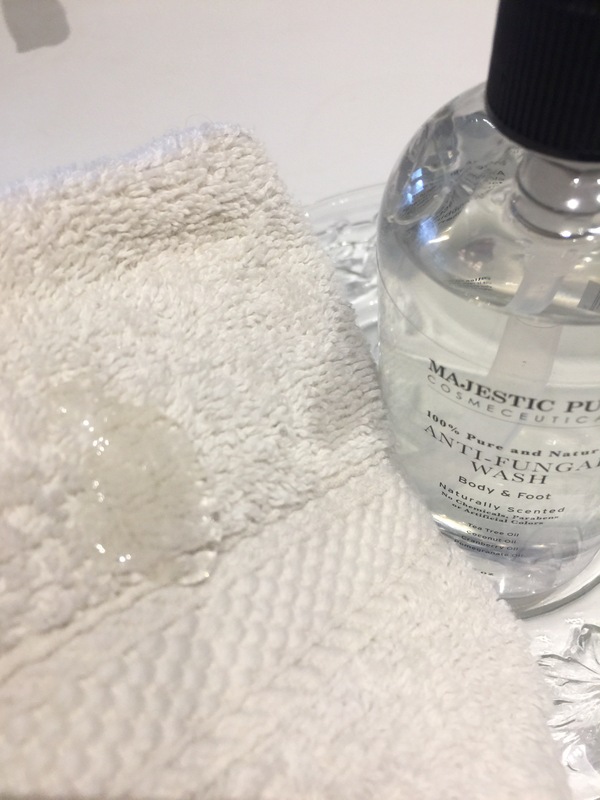 I put a little bit of the anti-fungal wash on a facecloth and then add some warm water and wash the area very well and then dry. I have been using this body was for a couple of weeks on my underarms and it has been working out very well. I do not get any rash or burning sensation whatsoever on my underarms. Even at my age, I one in a while get a blemish. So when I get a blemish on my face I will wash my face with a soft clean facecloth and a little bit of this anti-fungal wash on the facecloth along with adding warm water to the facecloth. Usually it prevents the blemish from getting worse. Usually the blemish is gone in three days. 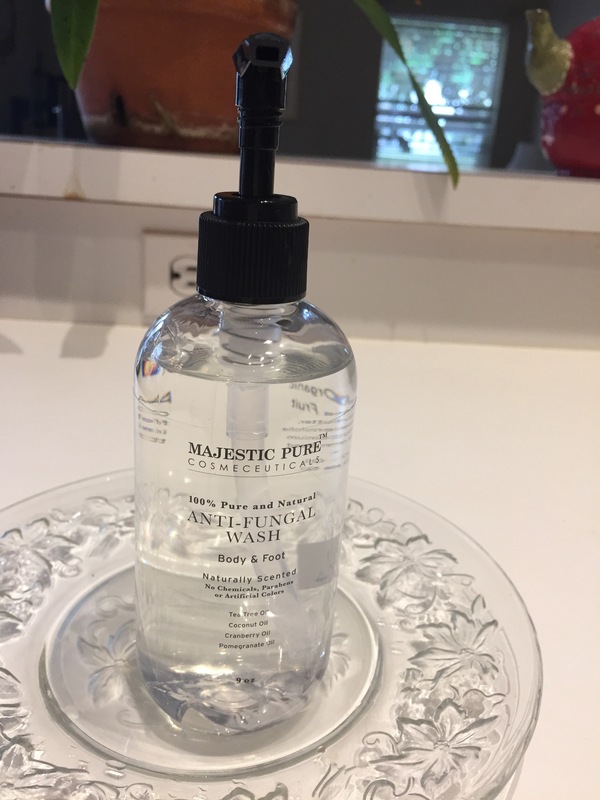 There are just so many good uses for this anti-fungal wash. 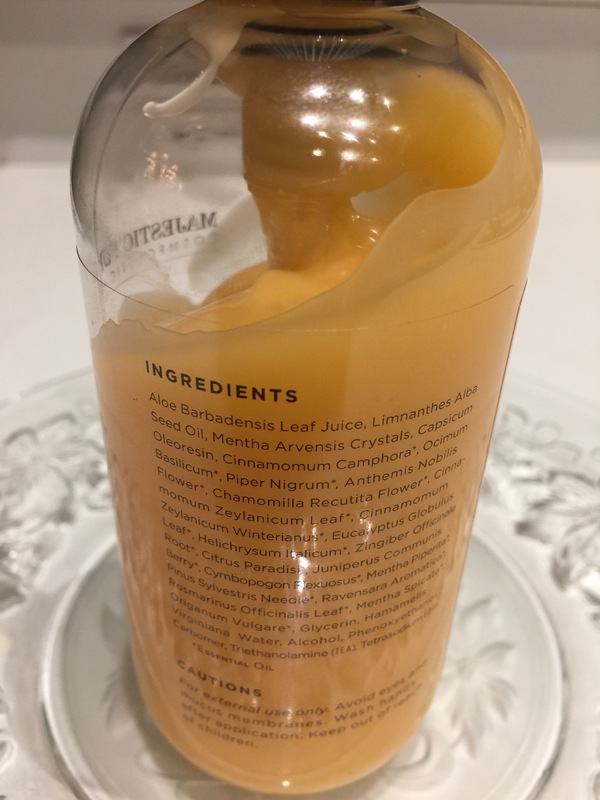 I will be sure to always have a new bottle of this product already in my home, so I will have it ready when I finish up my first bottle. I find this to be an excellent product to have on hand in my home. I love this anti-fungal wash! 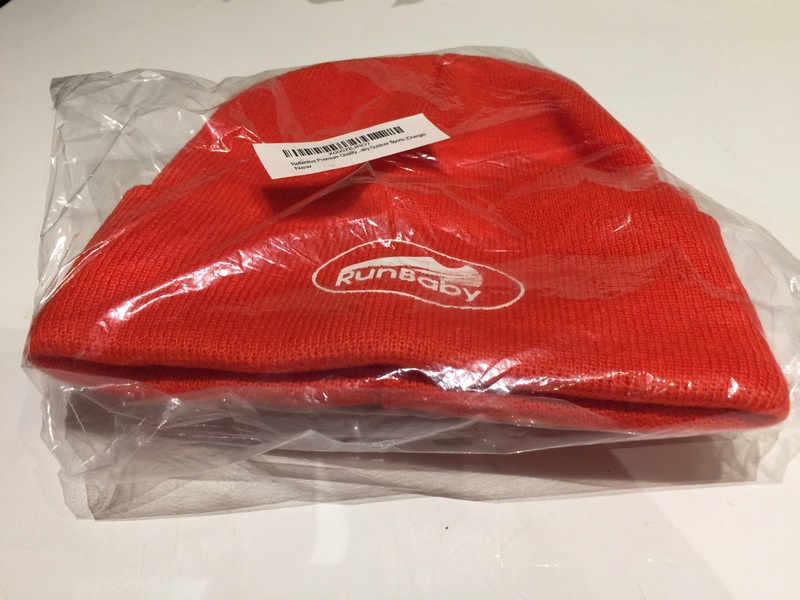 I purchased this nice orange knit hat for my grandson who is 9 years old and lives up north in Massachusetts where they have really cold winters. He loves to play outdoors in the wintertime and a nice thick knitted hat is a necessity. I know this is the type of hat he and his friends wear so I bought it for him. I like the idea that it’s orange so his Mom can easily spot him when he’s outdoors playing with his friends. 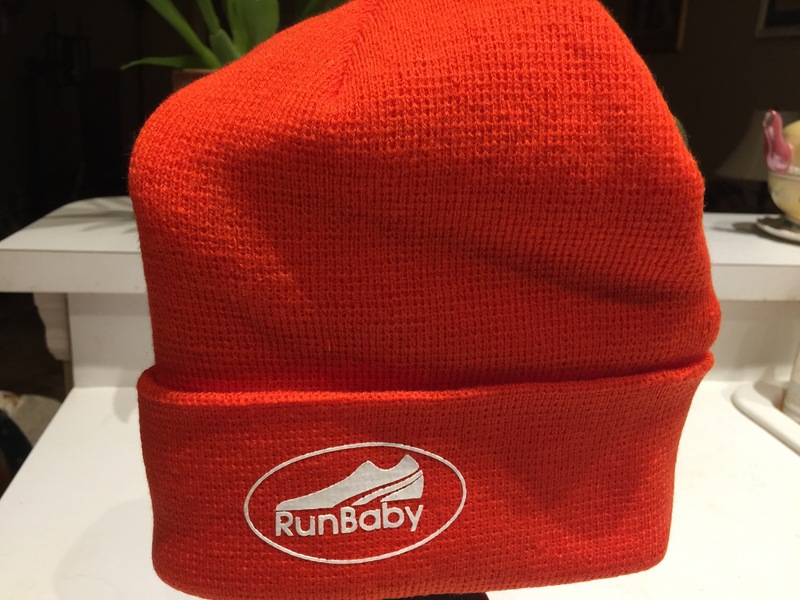 The hat feels really nice and soft, yet thick and is made with a tight, strong weave. This hat looks very well made and I’m sure my grandson will be glad to have it. It’s only October and already getting cold up North. He is always loosing his winter hats. I hope he doesn’t loose this one. Maybe with me buying it for him he might be a little more careful. I tried that hat on and it felt very comfortable. It covered my entire head and even my ears, so I know it will fit my grandson. The one long seam on the inside of the hat is very well stitched and should never come unstitched. And I do not feel the inside seam while I wore the knit hat. It has a nice emblem on the front that says the logo Run Baby. This is the perfect hat for my grandson. I purchased this hat at a discounted price in exchange for my honest and unbiased review. This is a really good hot cream. It is in a nice generous 9 oz. bottle with a pump handle to dispense the light orange lotion. This cream is to be used on sore, achy muscles and also is a good treatment to reduce the appearance of cellulite. The hot cream is 87% Organic. It is Paraben free and has no artificial colors. When I opened the bottle and it had a pleasant menthol scent. The hot cream contains Capsicum, Camphor Oils, along with Black Pepper and Cinnamon Oils. 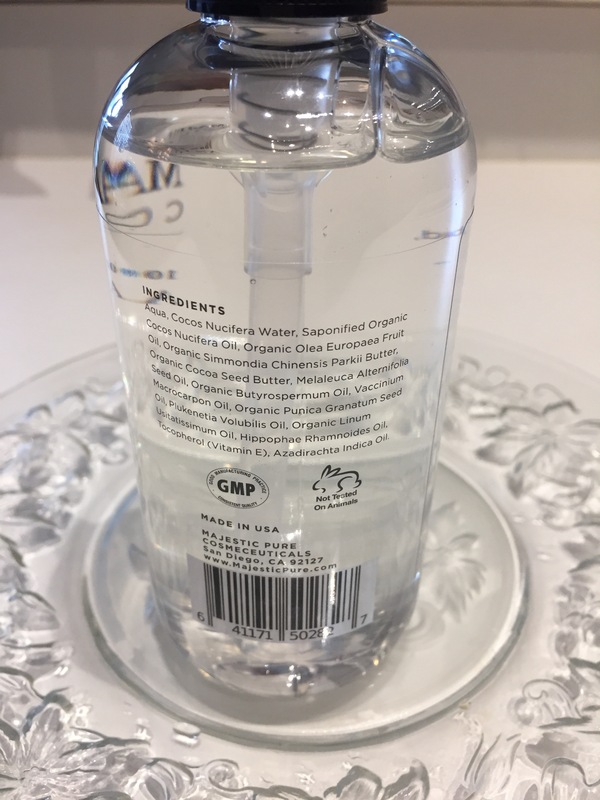 This product also contains Alcohol and various essential oils listed on the backside of the bottle. I had applied this lotion on the cellulite on the back of my upper legs. I have been using this product for over ten days and I so far I haven’t seen a change in my cellulite. I think it’s a bit too soon to notice a difference. I first applied the lotion with the pump which is great because there is no waste. The first time I applied this hot cream I used too much. I knew I used to much because at first when I applied it on my left knee within a minute or so it was too warm. So I quickly washed it off. I should mention that I have sensitive skin. So I gave my skin a rest for about five or ten minutes. Then I tried again, this time using a lot less hot cream. This time it worked great! It was so much better. I used a smaller amount of hot cream and massaged it into my left knee and then my calf area. I was getting a little tingly affect then it changed to a cooling affect, then it got warm which was great because it helped to take make my aches and pains. The hot cream felt warm for about 25 minutes or so. 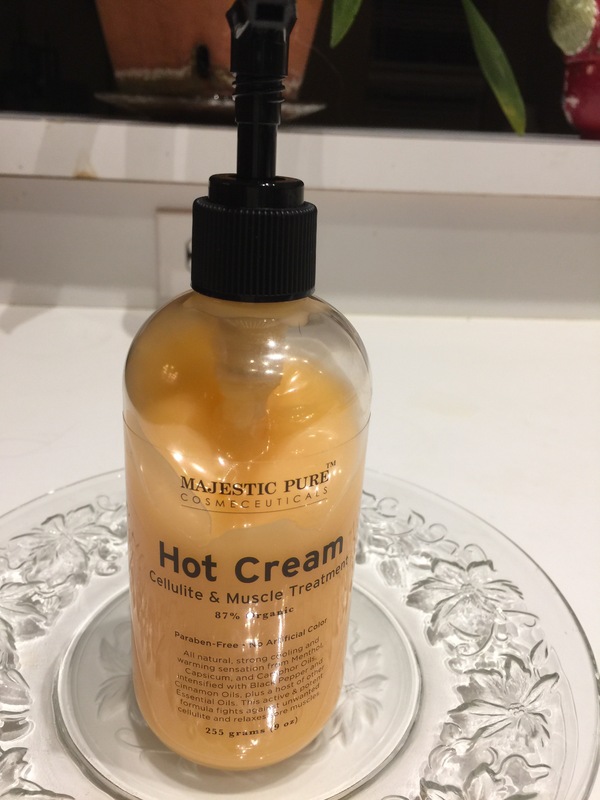 So, as long as you don’t put too much hot cream on the area, it is a really good hot cream for aches and pains. I got much needed relief and was very thankful. I ended up really liking this product and I can tell you, a little hot cream goes a long way. This organic anti-aging smooth liquid cream moisturizers with Peptides and Retinol. It reduces the appearance of fine lines and wrinkles. I like that this moisturizer comes in a convenient one oz. easy to pump applicator bottle so none of the product is wasted. Having the pump dispense the lotion/cream is really a nice feature. I only need 3 quick pumps of the cream to moisturizer my entire face, neck and décolletage. This moisturizer also really plumps up my little indentations on my face since I have lost twenty five pounds earlier this year. I love the way it really hydrates my skin and plumps it up. It makes me feel and look a couple of years younger. I’ve suddenly aged this past year and this product help to really moisturize my skin and I feel more confident and appear at least a couple of years younger. It also helps to firm, lift, smooth and best of all really hydrates my aging skin. 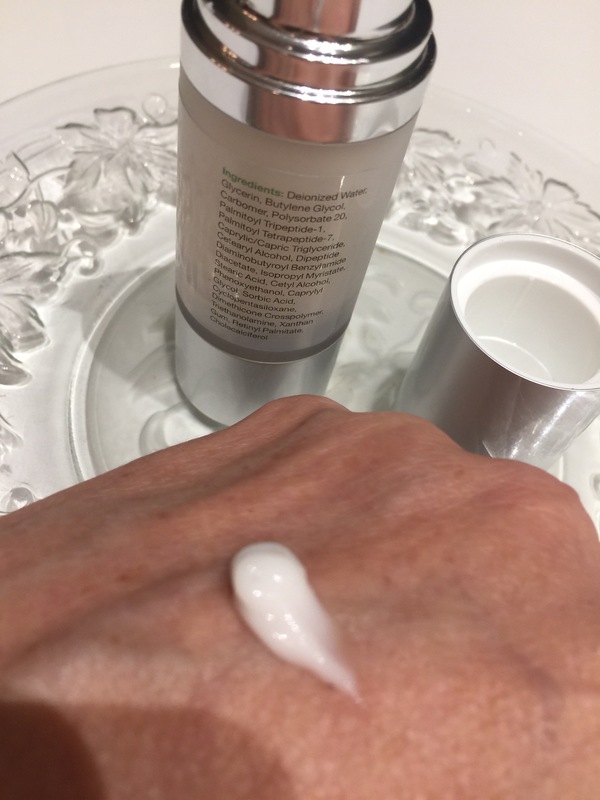 I only use three small pumps of this wonderful liquid night cream moisturizer. A little moisturizer easily spreads and goes a long way. 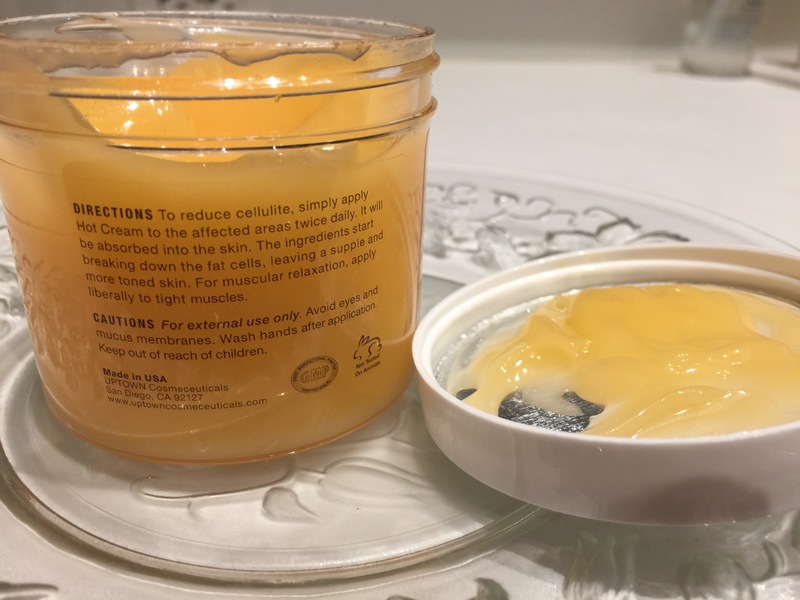 This product did not irritate my sensitive skin. My face just felt so soft, smooth, firm and plump after applying the moisturizer. I haven’t realized just how much I need to use a daily moisturizer. 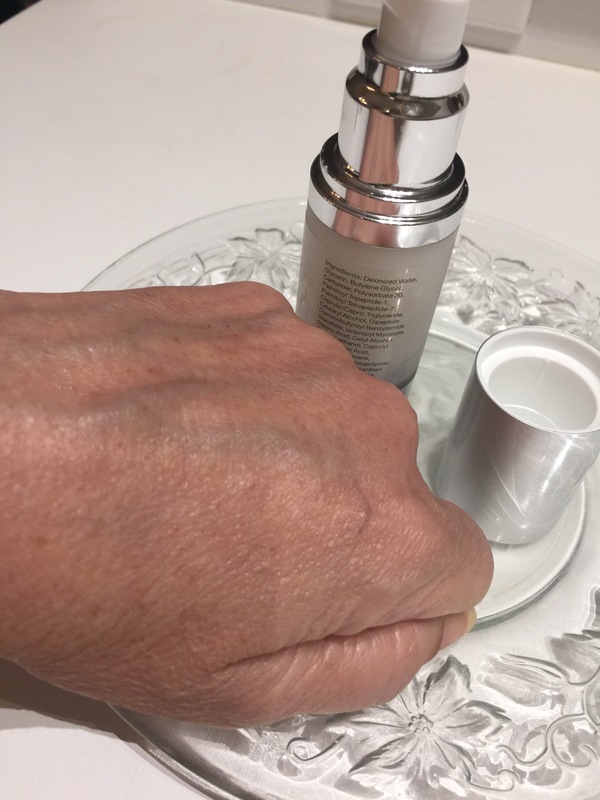 I will be sure to use this moisturizing liquid cream faithfully before I apply my make up in the morning and adding it to my nightly beauty care routine. The Peptides and Retinol combined are great ingredients in this moisturizer and is used successfully as an anti-wrinkle product. These are the most powerful skin care ingredients. 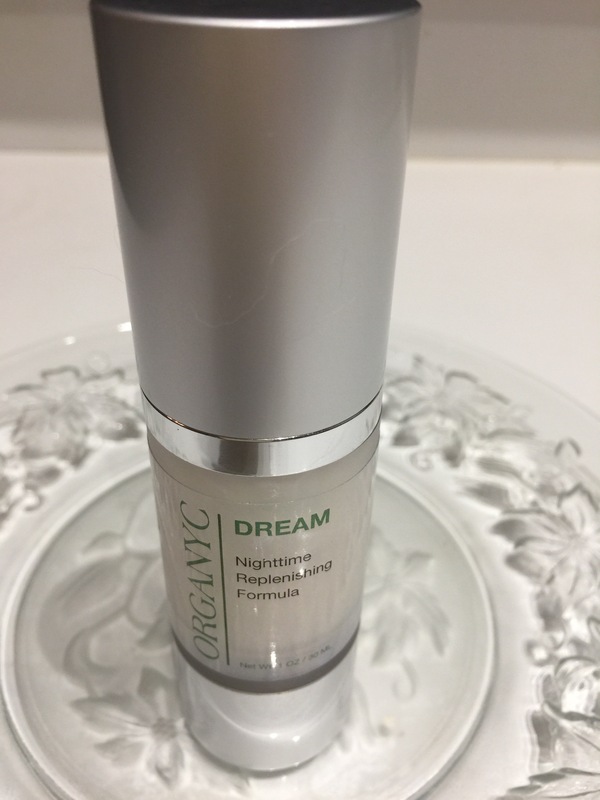 This product is great at rehydrating your skin and reducing fine lines and wrinkles. Also good as a preventative to keep your skin youthful. I love the way my skin plumps up and lessens the look of my fine lines and wrinkles. I highly recommend this product to anyone like who has dry, sun damaged skin, flaky skin. Or just needs to hydrate their skin. This is a really good nighttime moisturizing liquid. It comes in a nice bottle with a push down pump. I like that feature so you don’t use too much. If you see in the above picture with the moisturizing lotion on my hands, the amount of moisturizer I used was enough to cover both my entire hands and wrists. I use this product on my hands, face, neck and décolletage area. All these area desperately need a moisturizing treatment daily.